The RP Photonics Buyer's Guide contains 7 suppliers for seed lasers. A seed laser combined with an amplifier forms a master oscillator power amplifier configuration, used for generating an output with high power. Compared with an approach with a single high-power laser, it is easier to obtain certain features with a low-power seed laser, e.g. single-frequency operation with narrow linewidth, a wide wavelength tuning range or the generation of ultrashort pulses. Instead of injection into an amplifier, a single-frequency seed beam can be sent into another laser (slave laser) or into an optical parametric oscillator in order to achieve narrowband emission via injection seeding. It is sometimes possible even to achieve injection locking, where the emitted frequency exactly equals the seed frequency, and the laser noise may be close to that of the seed laser. Typical types of seed lasers are small laser diodes (single-frequency or gain-switched), short-cavity fiber lasers, and miniature solid-state lasers such as nonplanar ring oscillators (NPROs). 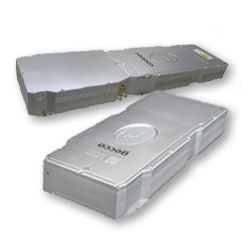 Laser Quantum provides lasers and amplifier systems to meet different needs for amplifier seeding, including the low maintenance gecco, short-pulses of the venteon power, the OPCPA ready venteon dual and the CEP stabilised venteon CEP5. RPMC Lasers offers one of the wide selections of single frequency lasers for injection seeding fiber lasers and solid-state lasers. These offerings are availed either open beam or fiber coupled and can be paired with laser diode drivers to provide transform limited picosecond seed sources for Q-switched fiber lasers.